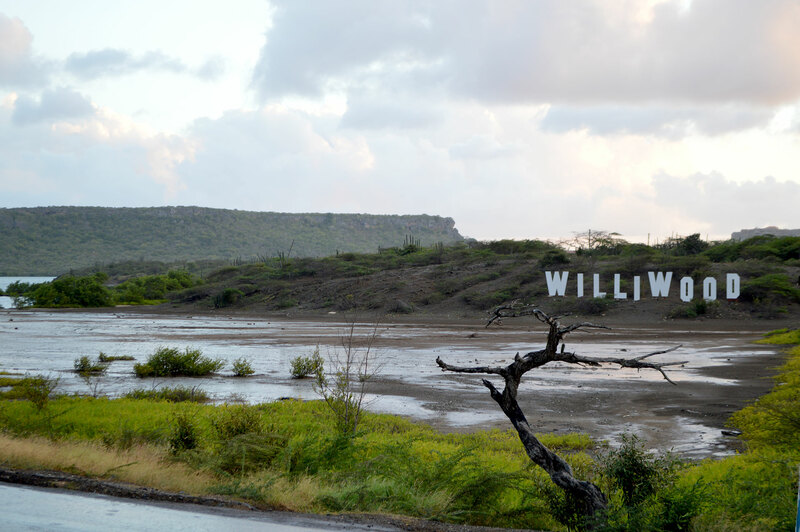 Approximately 25km from the capital towards the western side of the island you will find the little village of St. Willibrordus, better known Today as Williwood. 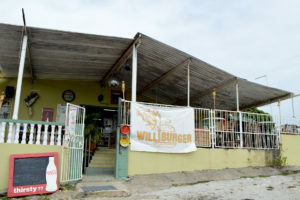 If you haven’t done so yet, go down to Toko Williwood ( Williwood Store) and try their famous Kabritu Burger (Goat Burger). Owner Marfa Wawoe recognized the potential of Willibrordus,her neighborhood growing up, and coined and commercialized the now famous Williwood town. The most important thing for her was to be able to give the tourists an authentic, local experience. 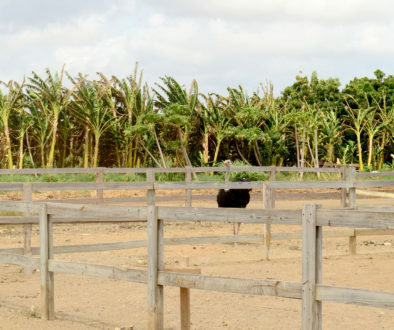 And this is just what she has created, a haven for tourists and locals alike to meet, eat and just have a good time. Food and drinks are not all they have to offer, stock up on supplies while heading to the beach or leave with some authentic Williwood souvenirs, like t-shirts, keychains and the likes. The toko’s simplicity gives off a “come as you are” vibe and that is exactly what you will experience while sitting on the terrace. Watch as the sun sets over the salt pans, where the flamingos are grabbing their last meal for the day, hear the passing planes making their way to the airport, mingle with the locals as they make their usual pit stop before heading home. 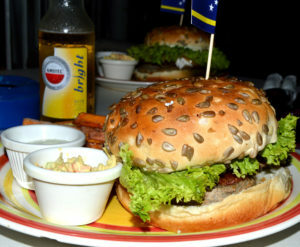 Known as “House of the Kabritu Burger” it does not come as a surprise that the Goat Burger is their best selling product. Choose the simple version or if you’re feeling adventurous give the “got it all” a try. This upgraded version includes goat cheese and bacon. But that’s not all, the dish is not complete without their home-made sweet potato fries and special sauce, called the Marfanaise. By the way did we mention there is bacon? 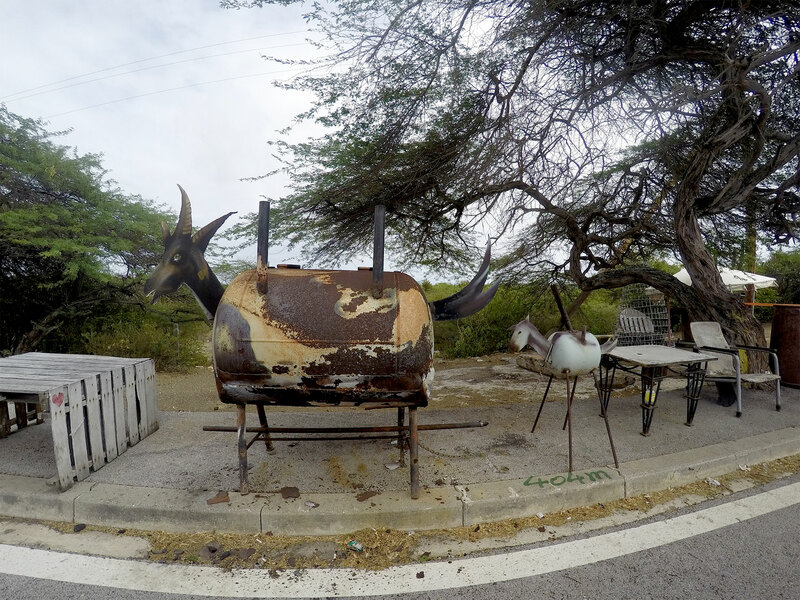 So if you’re heading west, don’t forget to stop by this famous “Toko”, they are open 7 days a week and have BBQ’s and live music on Sundays.